Lawmakers hammered the U.S. commerce secretary about the effect of tariffs – but barely mentioned his sale of a company’s shares days ahead of a negative news story. Congress, occupied with trade battles, is growing numb to shady conduct. Calling it out, though, matters. Wilbur Ross testifies before a Senate Commerce, Science and Transportation Committee confirmation hearing on his nomination to be commerce secretary at Capitol Hill in Washington, U.S., January 18, 2017. 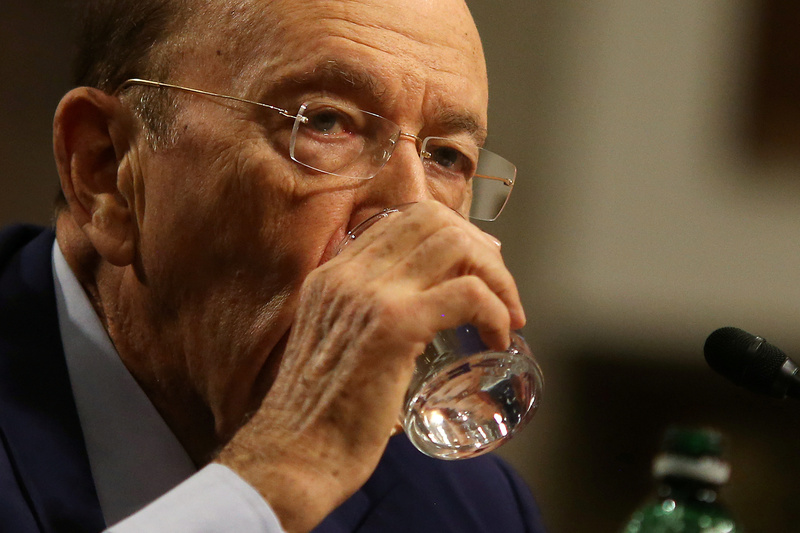 U.S. Commerce Secretary Wilbur Ross defended tariffs imposed by the Donald Trump administration on goods from China, the European Union, Canada and Mexico, during a hearing before the Senate Finance Committee on June 20. Ross was not asked about shares he sold in Navigator Holdings a few days before the New York Times reported on the company’s links to a firm partly owned by a relative of Russian President Vladimir Putin. Ross took a short position worth between $100,001 and $250,000 on Oct. 31, five days after the New York Times says it contacted him about the article. He closed the position on Nov. 16, according to a government financial disclosure released on June 18. The story was published on Nov. 5. Ross said the stock sale was not related to the story and was instead part of divesting the Navigator stake, which he committed to as part of becoming commerce secretary.